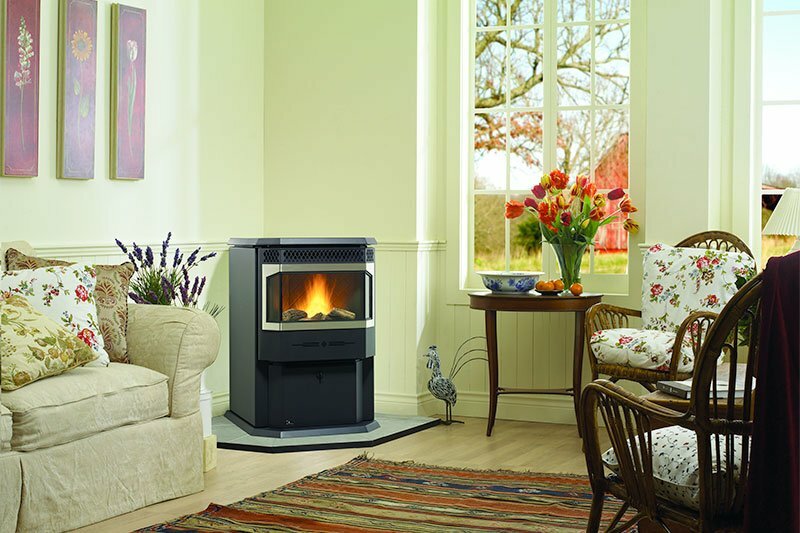 Are you contemplating getting a wood stove for your home? Wood stoves can increase the heating efficiency of your home during the winter months and in the early spring and fall without stressing your budget. Most people are familiar with wood burning stoves that accept carefully sized pieces of wood. Modern home heating stoves can burn wood, pellets, oil, gas or propane, depending on the preferences of the homeowner. There are also several difference sizes of home heating stoves, including single room and whole house stoves. Wood burning stoves can be purchased as freestanding units or as fireplace inserts. Freestanding units typically need clearance space on all sides of the stove. Wood burning stove fireplace inserts are designed to fit into standard fireplaces and utilize the existing fireplace structure and chimney. All Fuel Installation can help you determine which type of stove you need for your home and the stove size. Their wood stove installers Portland can explain the differences between wood, oil, propane, pellet and natural gas stoves. They can help you determine whether you need a single room or whole house stove, and they can recommend wood burning stoves that double as cooking stoves. Improperly installed stoves may not function as expected and could cause accidental fires. Hiring professional wood stove installers Portland speeds up the installation process and ensures the safety of everyone inside the home. Let’s say a homeowner decides to save money by purchasing and installing his or her own wood burning stove. The clearance measurements were not taken accurately and the stove was installed to close to a wall. The stove could ignite the wall. That’s unwanted danger for the homeowner’s family and costly structural repairs for the home. In another example, the homeowner fails to install the hopper correctly. The hopper holds the pellets in a pellet burning stove. The improper installation of the hopper could cause a fire inside the hopper that could spread to the rest of the home. Hoppers are not designed to withstand extreme heat. When it comes to wood burning stoves, homeowners should always choose professional installation for their own safety and peace of mind. All Fuel Installation will take the time to help you choose the right wood burning stove for your home, and they will install it correctly. Let’s help make your inspiration come to life. Contact us. We’re ready to work with you to make it happen. Call us at (503) 674-2350 - or fill out the form! All Fuel Installation Overall rating: 5 out of 5 based on 22 reviews.